Dubbed as the big apple, the fourth most populous city in the US, New York (NY) is an economic hub and there is an underlying mindset that time is money. This notion suggests that the people in NY just do not have the time that it would take to surf through a massive directory to find a good Ultrasound in NYC and so comes in our website. 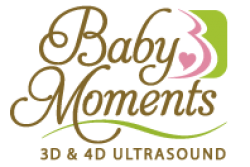 We provide the most efficient service location for 3D Ultrasound clinics and provide information on the best and nearest centers, also known as a sonogram. The 4D version of it captures images of the fetus while it develops within the womb and hence gives a chance to the parents to identify the gender of their child.